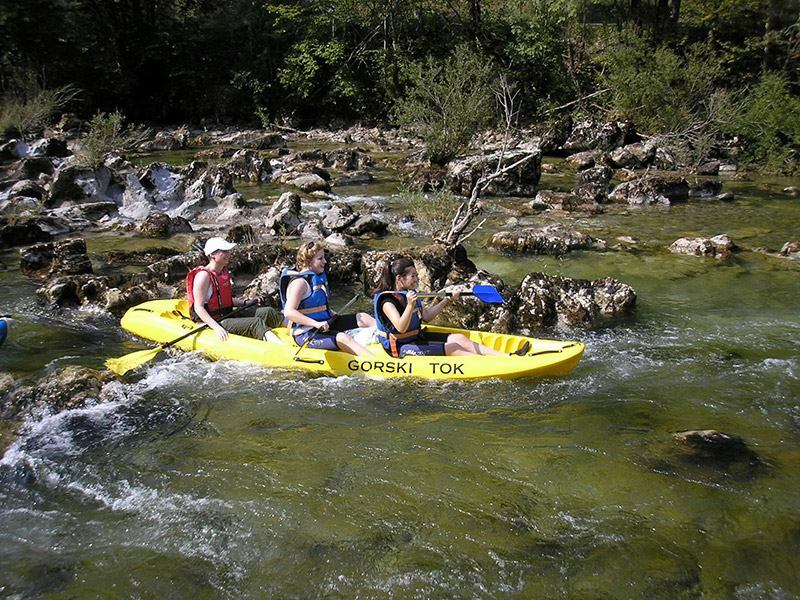 Rafting on the river Kupa is possible when the water level is high, which is common in spring and autumn months, and after heavy rain. It is also available when the water level is low, which is common during the summer months. Going down with the big rafting boats where there is room for 10 people is suitable for high water levels, while on the lower water levels we use canoe or kayak, inflatable boats that can accommodate 2-3 people and its form allows the passage of the places where there is sufficient water for the right rafting experience. â€śSmall raftingâ€ť, as we call it, at low water levels is pretty much the same as the higher water level rafting. The price includes all necessary rafting equipment (paddle, helmet, life jacket, neoprene suit - long or short depending on the weather, neoprene socks or boots, waterproof jacket, etc.) and experienced rafting guide that will point you in the secrets of rafting and answer all your questions about it. So your job is only to call us, and our job is to lead you on an adventure that you will not soon forget.